I'm definitely in the holiday spirit: temperatures are hovering in the 30s and 40s this weekend, the tree is decorated, and I'm listening to my favorite holiday music! 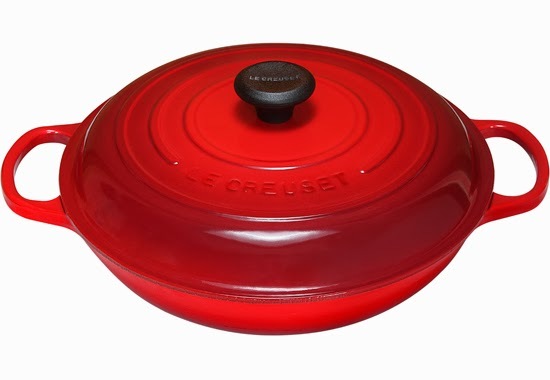 I'm thrilled to be partnering with Park and Main today to feature a gorgeous holiday red Le Creuset 3.5-quart braiser...and one of you is going to win one too!! 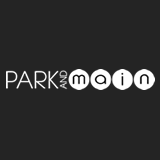 Park and Main is a website that unites the modern with the classic and the mainstream with the cool within the confines of your home. 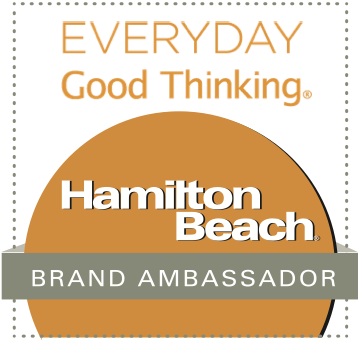 They offer the very best brands for all your entertaining needs. 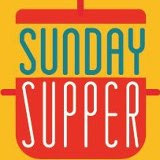 From cooking an intimate meal for two, to making sure you have everything you need for the unexpected overnight guest . . . Park and Main has you covered! 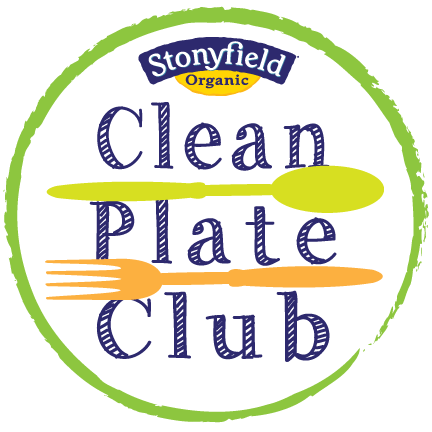 They're also a great resource for holiday shopping for your food-loving family and friends. If you've never cooked with Le Creuset cookware or bakeware, you're in for a real treat. Le Creuset cookware is enamel-coated cast iron cookware made in France. When Michael and I were married, we registered for several pieces, and I love them. My 5-quart Dutch oven is one of my favorite kitchen items -- I use it for making soup and gumbo, as well as roasting meats. It cooks evenly and retains heat perfectly. I was so excited to receive my braiser and try it out in my kitchen. Braising is a great technique that uses dry heat, wet heat and slow simmering time. Its ideal for cooking meats that would otherwise be tough. Le Creuset says this braiser is excellent for making stews and roasting tougher cuts of meat. Since it was a cold evening, I opted to use my braiser to create a hearty and spicy stew. My Tex-Mex Braised Pork Ribs with Pinto Beans cooks up tender juicy, with lots of the big flavors that I love. This dish isn't one that you'll want to whip up after work on a busy weeknight. That's because it needs to slowly simmer for 2-3 hours minimum after an initial 30-minute preparation time. It's better suited for a lazy weekend at home. However, since most of the cooking time is hands-off, you're not going to be tied to the kitchen. This is also a great dish for entertaining, because you'll have time to visit with your guests while the dish simmers away on the stove. Your kitchen smells heavenly as it cooks too, which is an added bonus. Because it contains meat, beans and veggies, it's essentially a one-pot meal. Step 1: Heat the olive oil in a Le Creuset 3.5-quart braiser over med-high heat. Season the ribs with salt and pepper. Once the oil is hot, sear the ribs until browned on both sides. This will take about 5 minutes per side. Remove the browned ribs from the pan and set aside. Step 2: Add the carrot, celery, onion and poblano pepper to the pan. Cook, stirring every few minutes, until the onions are translucent and the celery and carrot have softened slightly. This will take 7-8 minutes. Add the garlic and cook for 30 seconds. Add the flour to the pan and make a roux by stirring with a plastic spatula to combine with the veggies and oil. Cook, stirring constantly, for 2-3 minutes. Step 3: Add the beans, chicken stock, chopped tomato and bay leaves. Stir until the roux is dissolved into the broth. Bring the mixture to a boil, then reduce to med-low so the mixture is simmering. Add the reserved ribs back into the pan and cover. Simmer for 2-3 hours, until the beans are tender and the ribs are falling off the bone. Give the mixture a stir ever 30 minutes to ensure nothing is sticking. Step 4: To serve, remove the rib bones from the pan with tongs and discard. Stir in 1 tbs. of Cajun seasoning mix. Bring the braiser to the table and ladle directly into serving bowls. This dish is a hearty complete meal on its own, but buttery cornbread or crusty French bread would also pair very nicely with it. This dish is comforting and full of flavor...with a gentle heat from the poblano peppers and Cajun spices. The pork ribs are literally fork tender after braising in the cooking liquid over low heat. The addition of beans makes this a comforting, filling meal on a chilly Winter evening. This one's a keeper, folks! It makes 4-6 servings, depending on how hungry everyone is...and leftovers are even better the next day. 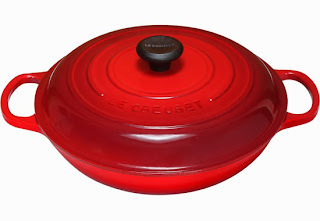 So...who wants to win one of these gorgeous Le Creuset braisers just in time for your upcoming holiday dinners?!?!? One lucky Weekend Gourmet reader is going to receive a 3.5-quart cherry red Le Crueset braiser just like mine from Park and Main! To enter, simply follow the directions in the Rafflecopter below. 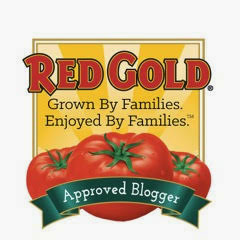 I'll accept entries thru 1159 p.m. CST on Wednesday, December 11th. The winner will be notified via e-mail on Thursday, December 12th. Good luck!